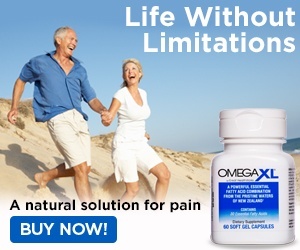 Jun 26, 2015 Omega XL has hundreds of thousands of customers who purchase our product on a monthly basis. Thousands have given testimonials to the benefits received from our product. Omega XL contains PCSO-524, the patented marine oil sourced from the green lipped mussel that is harvested over an 18 month life cycle in the pristine waters of New Zealand. Nearly 40 years of scientific research, including peer reviewed published studies, have been conducted on PCSO-524 demonstrating that i provides support for joint relief and mobility. We encourage you to contact the service professionals in our Customer Advocacy Group at 1-800-607-0419 or cagsupport@greathealthworks.com. Been working on my feet, and i can't stand the pain in my back. Review #623648 is a subjective opinion of ladybug011861.